ooh. back. 4 days out. AX takes a lot out of you in the form of walking. so. sore. back on track again today. this and a trick arrco tahoe arrived through ebay goods today. haha. fun. pondering magic texts to pick up. fun. drawing using computer media again. fun. Hmm. I’d imagine you’d only find these on Ebay at varying prices. 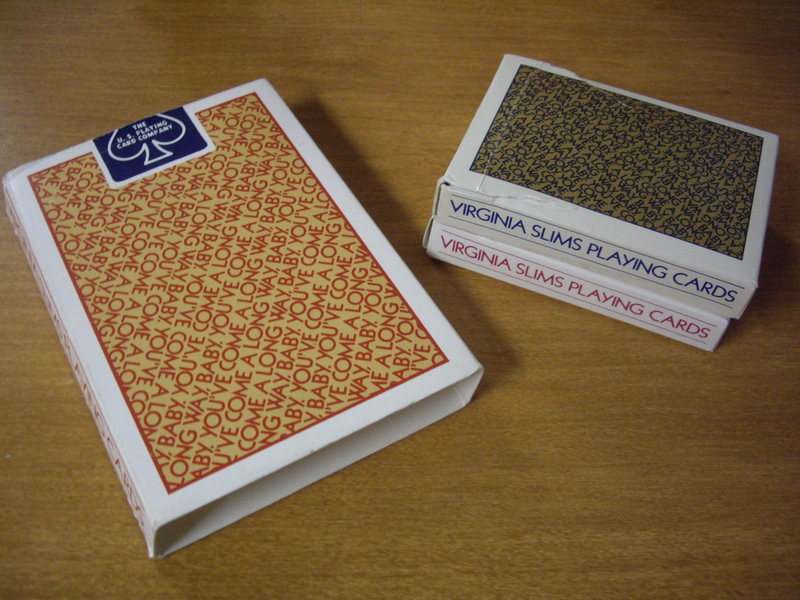 Virginia Slims : Ace of spades. Virginia Slims : Index Face Spread. Awesome. Virginia Slims : Back Spread. Yuck. Comment time. The finish itself feels closest to Streamline so far. 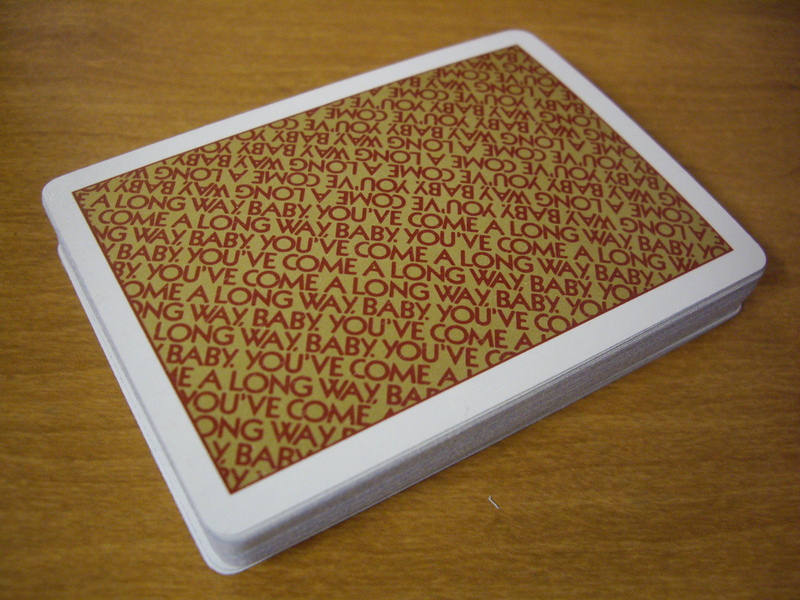 Streamline is that plasticky coating on a card without air cushion dimples. Next note. These cards are really thin. Probably the thinnest covered by this blog so far. They even ‘feel’ thin. Like absolut deck. Though those feel heavy for being thin. This stock is light and crisp. If I had access to this stock. I’d use it. The stock basically bends to your will. Crimp it? All good. Just bend it back. Virginia Slims : You've come a long way, baby. White bordered. Good. Odd back design choice. “You’ve come a long way, baby” written all over. Ew….Well. Got to love the faces though. 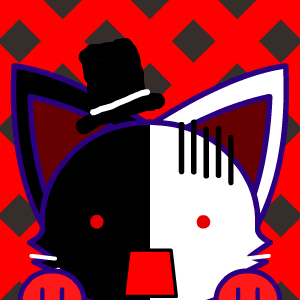 Pips come in red and blue instead of black. Indices are well done. Court cards are one way faced of old time figures. Neatttt. This deck was well customized. Well decked out. 1 red/1blue joker. Check. 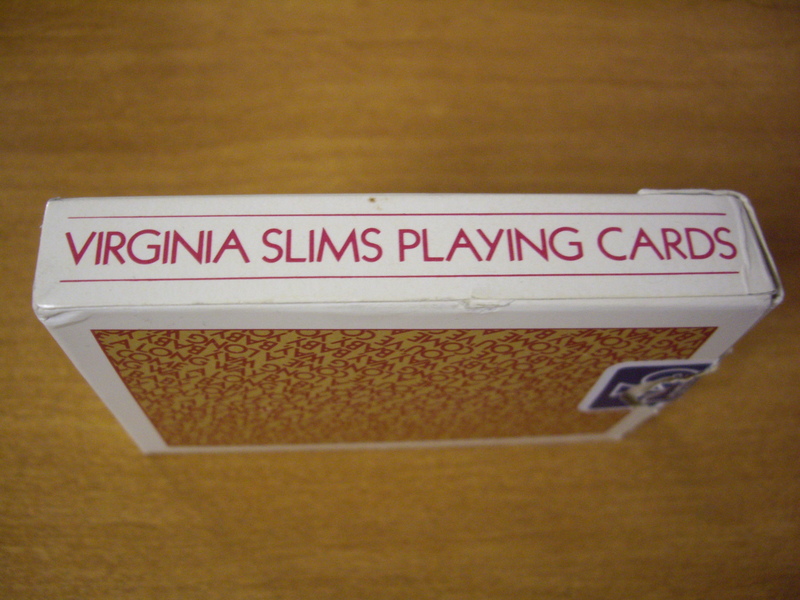 Ad card for Virginia Slims. Check. Propaganda is good. 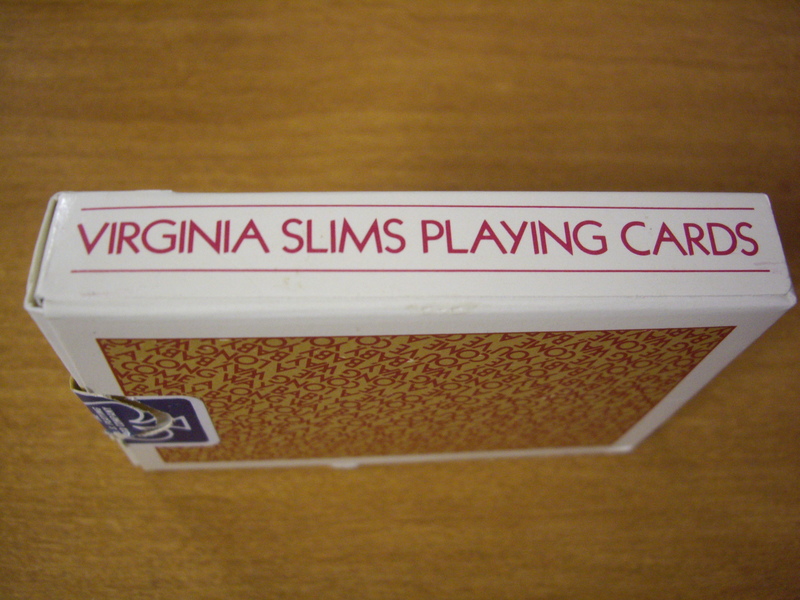 Virginia Slims : Aces are red and blue. Well. Depends on your exact handling. But the lightness and stock basically contributes as a plus to the execution. And short timeframe. Yay. Virginia Slims : Smoking is in fact, bad for your health. Don't smoke. Children. 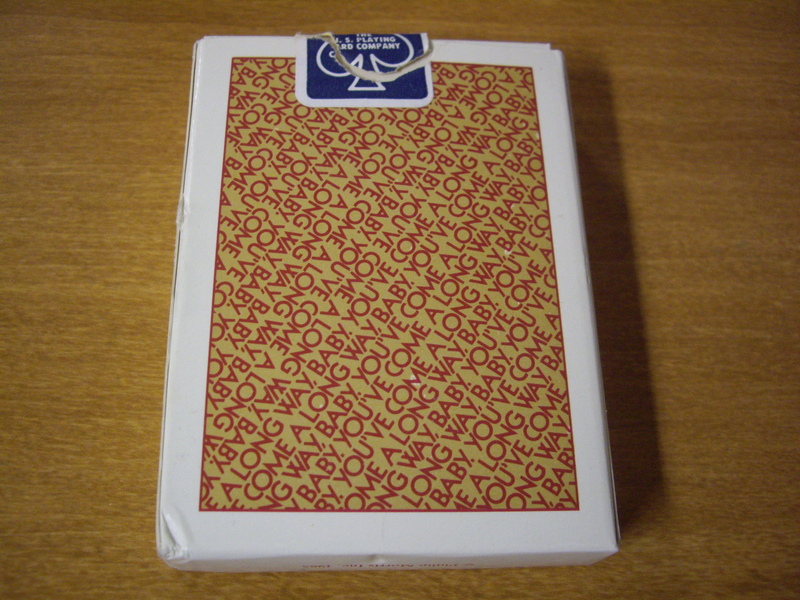 -2 decks come in a neat tuck in box. Cool. Virginia Slims. All four aces have VS engraved all over. Red and blue instead of red and black. Cool again. Crisp stock with awesome springs. Cool x3. Fugly back design and finish. Darn. Oh well. What are you going to do. Can’t perfect everything. 1985. 24 years. Good card technology/engineering back then. Someone bring it back please. Another deck for the collection. Promotional propaganda I suppose. and we’re back. on a thursday. wonder when i’ll go on a spree with my card buying skills. It’s a promotional item for Marlboro cigarettes I suppose. Not highly desired. Quite cheap on eBay at times, falling in the 4-6$ range for a set. Don’t smoke cigarettes. Smoking is bad for you. 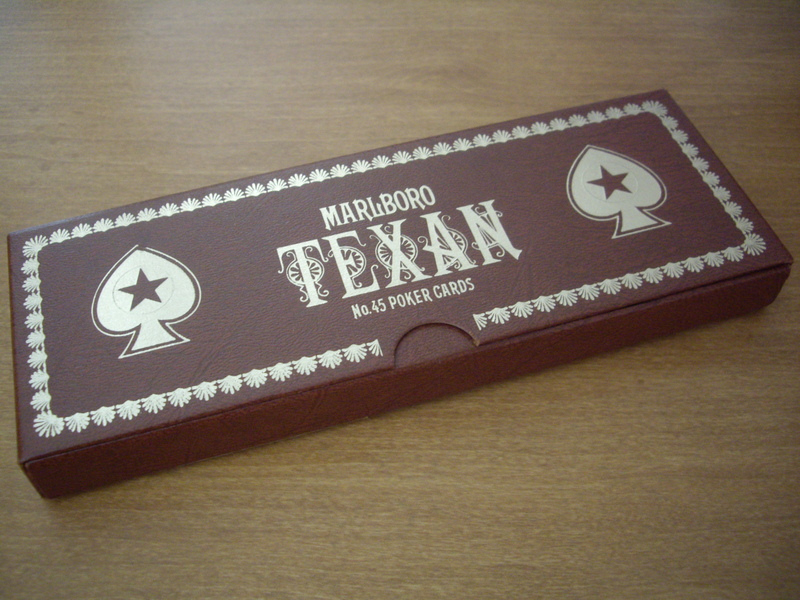 Marlboro Texan : What an awesome deck carrying leatherlike casing. These were released quite sometime back. 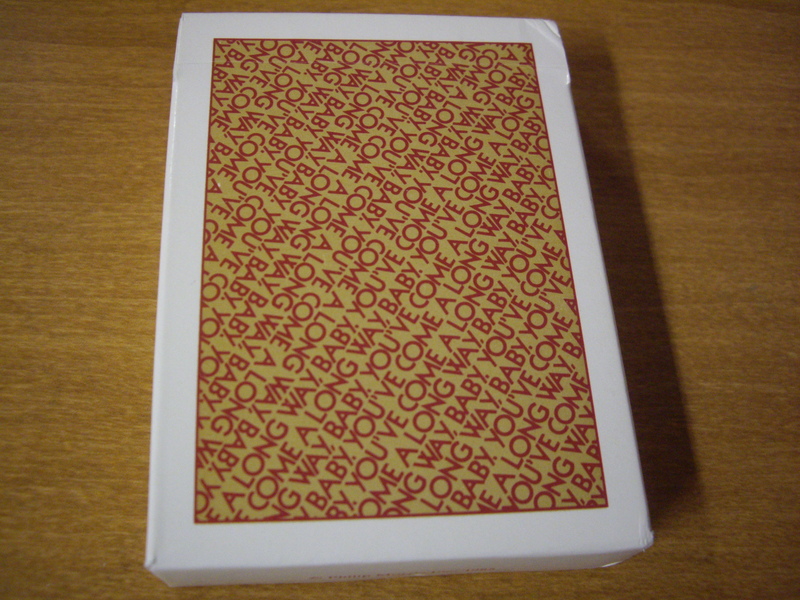 But now,,,sealed sets are still readily available on eBay. Funny how that works. Marlboro Texan : Court cards are vintage. Marlboro Texan : Printing effect. Marlboro Texan : Thinner than bicycles. Nothing too exciting. No aircushion type dimple hole things here. 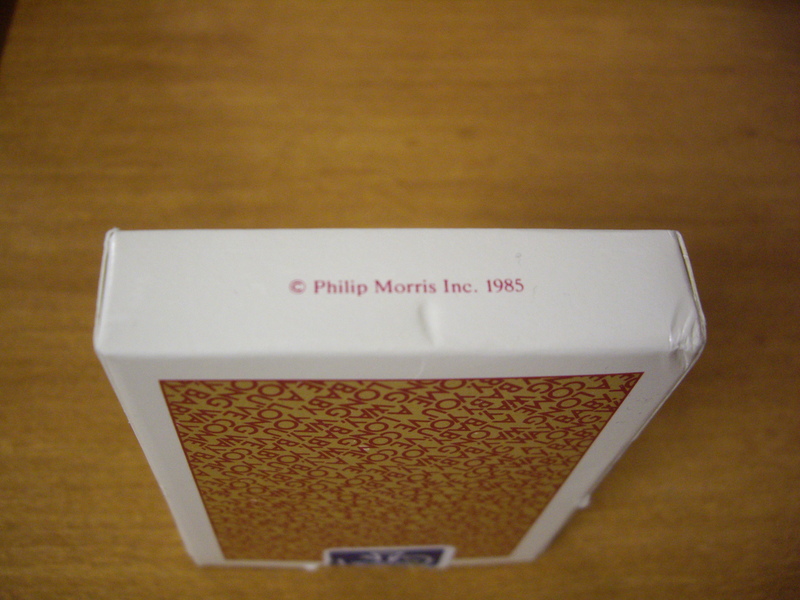 You get thin cardboards with a ’vintage replica’ yellowing printing stain thing. The overall feeling of the deck is slippy. But not the typical accustomed typical new fresh of the box slippy. Probably last longer than a deck of bicycles though. I’ve bent some cards. And easily bent them back. Marlboro Texan : Back spread. Marlboro Texan : Face Spread. Tiny Indices. Thin and light. I approve. Unfortunately the rest of the deck isn’t worth using for sleights and xcms moves and stuff. Marlboro Texan : Back Design is simple. It be one way. See the five pointed star? No matter how you position a five pointed star, its one way. With silly rays coming from it at varying widths. If you do a spread, the rays looks like a shooting star….sort of. At least you only see the top star so that’s ok. Multi packet cuts…looks …. Supposedly good with stars dancing around in your hand. But. Theres no borders. But the full back matches the faces. Sort of. Sort of gets a 5/10. Marlboro Texan : 52 + Jokers + History. I’ve spent the last week cramming Mr. Lennart Green’s Top Shot. Mr. Lennart Green, why are you so awesome? We’ll get to that another time. With basically every deck at my disposal, This is by far the worst deck to use. Top shot. 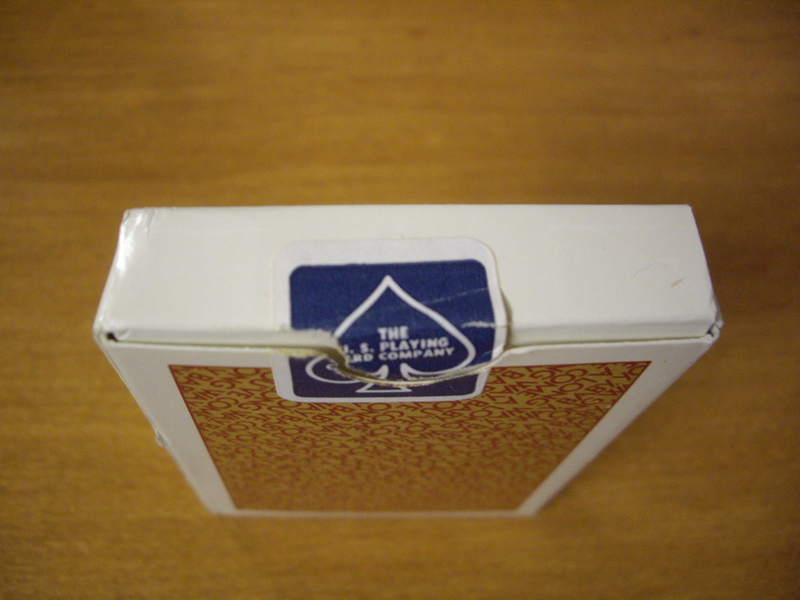 Is an application of thumb pressure, and whatever sliding friction is between the top two cards. In this case, the cards slide poorly for top shot. Its like,,,you pull one, you pull them all. But not saying that top shot won’t work. It’ll work. Just Poorly. Marlboro Texan : Awesome Promotional. -Texans. Not Texan palmettos. These are Marlboros. Not Texan’s 45s which I have not acquired yet. 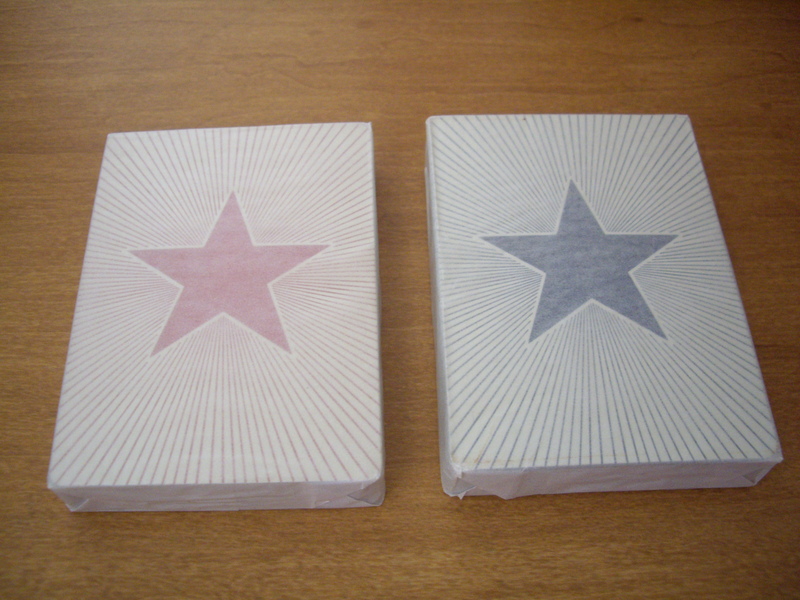 These cards depict a ’lone’ star on the back. Wow. They come in red and blue. I wish all cards could come in red and blue at some point. Little details. Really small pips. Super wide court card pictures. Rusty vintage feel(visual) to the faces and backs. it’s a reproduction. They did well enough. it’s a promo. But its easily obtainable today. 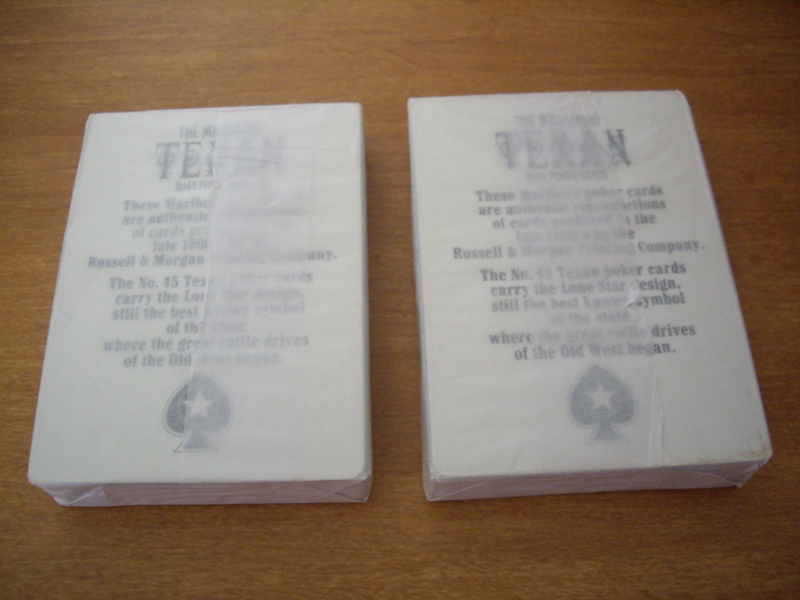 They come with poker rules, wrapped in wax paper. So, the ideal use would be to apply these for poker games. Poker sleights? No. No poker sleights for you due to the odd quality of these cards.